If your vehicle’s engine runs hotter than usual after you start it or if the temperature gradually increases as you drive, there might be an issue with the cooling system. You might detect a smell similar to maple syrup and/or spot an orange or green fluid beneath your vehicle. Both of these are signs that you should have a technician examine your cooling system. 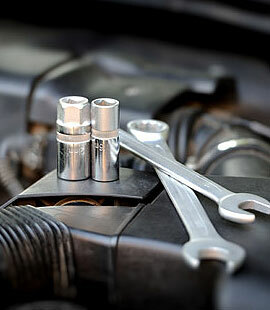 A technician can inspect your vehicle and perform a coolant/antifreeze flush and fill if necessary. This quick maintenance procedure can save you money in the future and prevent a potential vehicle breakdown. A technician can also perform fluid exchange services. Maintaining the ideal level of fluids and replacing those that have depleted is critical to your vehicle’s driving performance and safety. Make sure not to miss a regularly scheduled antifreeze flush and fill. Skipping this maintenance can put your vehicle at risk for a variety of problems, such as premature corrosion of your cooling system, freezing and overheating.